Are you one of the 50 million people who go to the doctor or emergency room every year for a migraine headache? If you are, then you know that doctors have little or nothing to offer patients other than drugs. Infuse Skin and Body now has a holistic way to manage migraine and headache pain of all kinds using aromatherapy and cold marble stones. Migraines are most often looked upon as a neurological or a vascular issue. This treatment takes care of both. Most migraines fall into one of four types; food allergies, environmental agitation, stress/caffeine addiction, and hormonal imbalances. With the right aromatherapy, one can actually alter a headache physiologically by calming the brain. Our new service, Migraine Miracle, uses four blends of essential oils. Food Blend will be used for clients triggered by food allergies. Environmental blend is used for clients who are triggered by inside or outside environmental agitaion. Anything that irritates your brain and body such as pollen, air pollution, loud noises, strong odors, etc. Stress triggers 80% of migraines. Blend of essential oils are used to calm the brain, change the physiology of the coming migraine and help stop the migraine in its tracks. Hormones play a major role in migraines. 70% of female migrainers get their headaches about 24-36 hours of their cycle. This comes from the fluctuation and drop of estrogen. The Hormone Balance blend will help balance the hormone levels to avoid a migraine. Migraine Miracle® treatments take about one hour. During that time, you will be relaxing in a low light environment with quiet music. After the appropriate essential oil blend has been determined for your liking, the feet will be wrapped in warm towels and a customized trigger point release massage will be performed. Aromatherapy will used at different pulse points along with inhalation of the oil blend by the client. 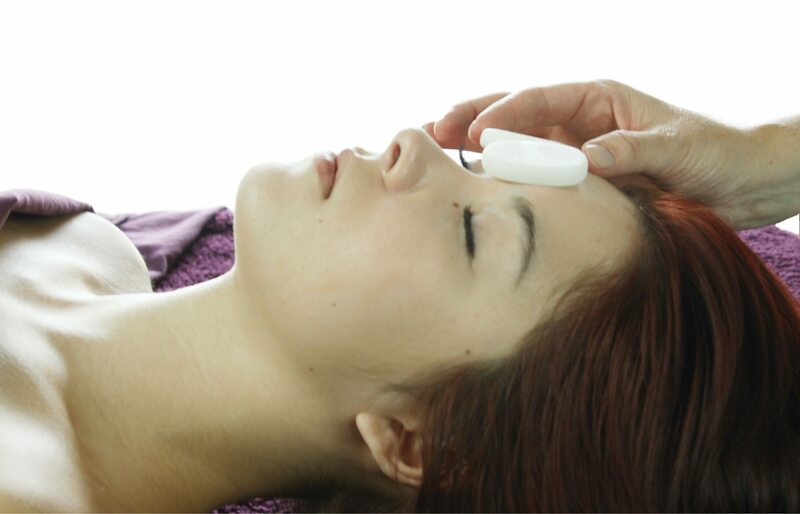 After completion of the pressure point massage, cold marble stones will be strategically placed on the clients forehead, orbital area, sinuses and neck, followed by rest/sleep of 15 minutes. Migraine sufferers benefit greatly with cold therapy by reducing swollen blood vessels and the aromatherapy alters the headache physiologically by calming the brain. If you suffer from these debilitating headaches, sinus headaches or stress in general, come in for a treatment. Head off the migraine before it gets you “down”. Migraine Miracle® treatments may be scheduled with Rhonda Mock or Shannon Thrasher. Cost is $65.00 for the hour service. Receive $10.00 off your first Migraine Miracle® treatment during the month of April.